December 17th in Theme Lists, WordPress Themes by Wordpress Jedi . Luxury: a WooCommece theme with a wide variety of useful widgets and customizable design. 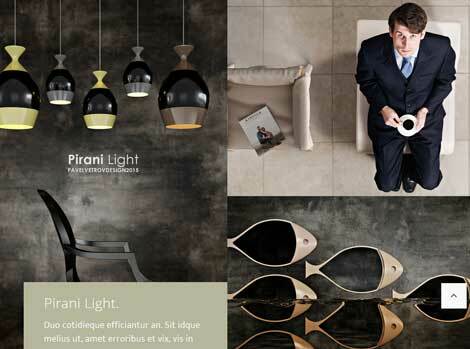 It has attractive product, shop, and cart pages. DeVoe: a versatile WordPress theme for fashion and entertainment sites. It has a drag & drop homepage, 8 custom widgets, and a responsive design. The theme is social media friendly. 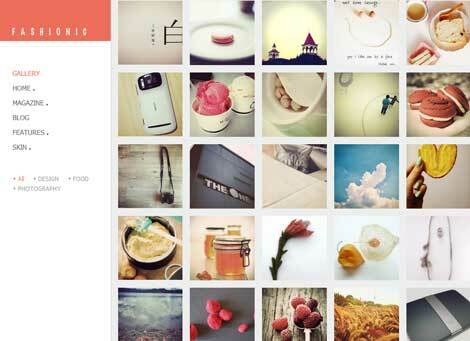 Zeon: this theme comes integrated with WooCommerce and Slider Revolution. It is powered by Tesla framework. You get custom widgets, custom background options, and a clean design. 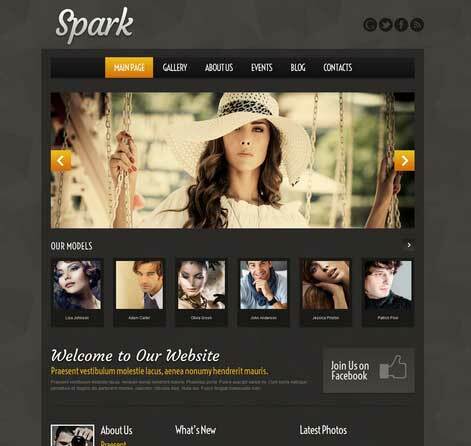 Fashion theme: this theme is developed for fashion blogs. It is powered by the Cherry framework. It is coded in HTML5 and CSS3. 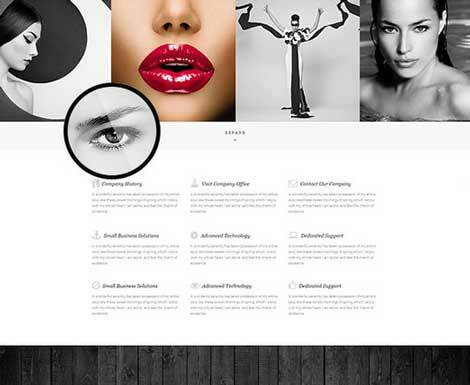 Model Agency: a 100% responsive theme with a fully editable design. It has blog and portfolio functionality. It is ready to be translated. Beautiful Apparel: a responsive theme with a minimalist design for your fashion shop. It is powered by the Cherry framework. It is coded in HTML5 and CSS3. 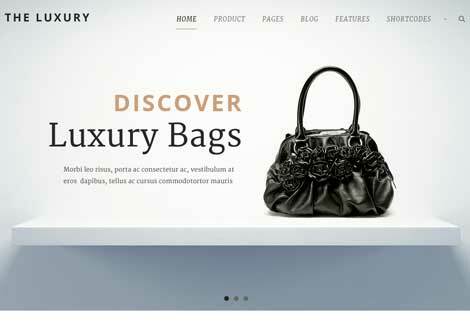 The Luxury: another responsive WordPress theme with a page builder, custom WooCommerce layout, and dark & light skins. It comes with boxed and full layouts. 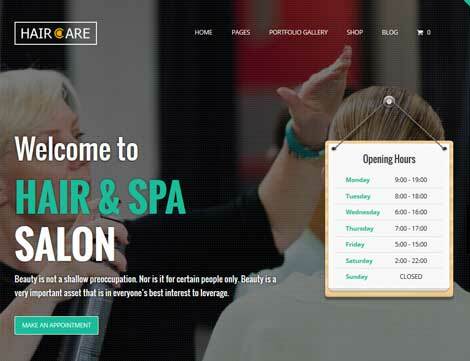 Hair Care: a multi-purpose theme with a wide variety of homepage layouts for your business. It is built with the SiteOrigin page builder. The theme is responsive and ready to be translated. 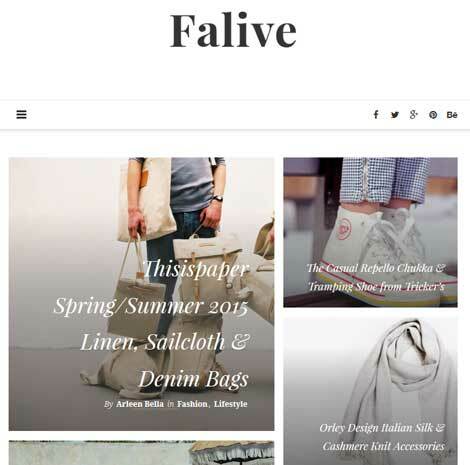 Falive: a versatile theme for fashion blogs. It has 5 header layout options, 3 feature sliders, and boxed/full layouts. Lets you change fonts easily. It is ready to be translated. Aurelia: a WordPress theme for high-end fashion stores. It uses AJAX to make shopping easier. It comes bundled with Slider Revolution and WooCommerce Product Filter. Za: a fashion portfolio theme for WordPress. It is ready for retina displays and fully responsive. You get a drag & drop page builder to customize your site. 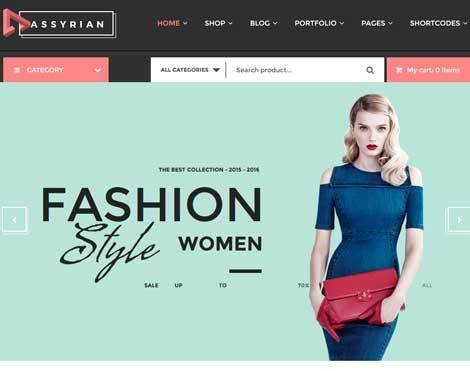 Assyrian: a responsive WordPress theme for fashion shops. It offers AJAX shopping cart, wishlist, comparison, multiple page layouts, a mega menu system, and more. FlyShop: a WooCommerce theme for fashion stores. It is responsive and ready for retina displays. You get a drag & drop layout manager. Fulgor: a minimal fashion theme with WooCommerce integration. It comes bundled with Visual Composer and Revolution slider. You get 5 custom WooCommerce shortcodes. Fashionic: a theme for magazines and blogs. It is fully responsive and has attractive AJAX transitions. You can customize your logo, colors, and fonts easily. 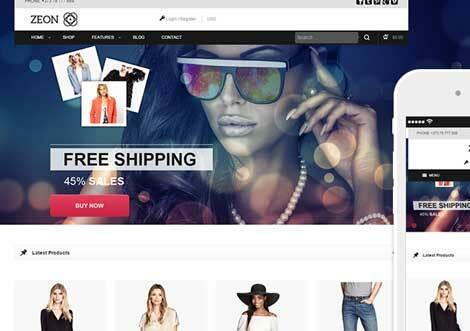 Showshop: a clean WooCommerce theme for fashion stores. It has various prebuilt homepage layouts. You get 10 skins, 3 headers, Visual Composer, Revolution Slider, mega menus, and more. 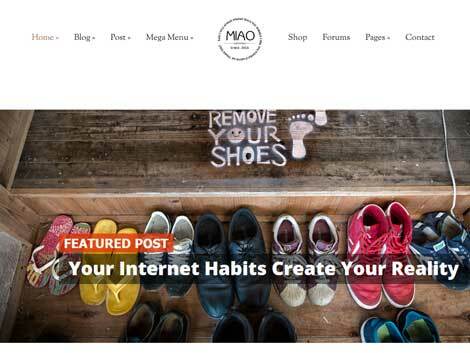 Miao: a theme for fashion magazines, news sites, and blogs. It supports WooCommerce and bbPress. The theme is coded in HTML5 and CSS3. Nouveau: a multi-purpose theme with mega menus, retina-ready design, a page builder, and various shortcodes. 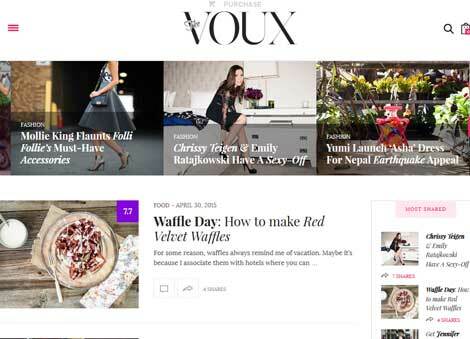 The Voux: a fully customizable fashion theme with mega menus, Visual Composer integration, and full screen galleries. 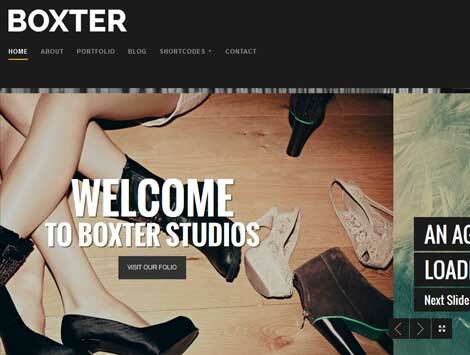 Boxter: a creative responsive theme for photographers, agencies, fashion sites, and other related businesses. You get full and fixed width portfolio grids, attractive hover effects, full width sliders, and video/touch support. 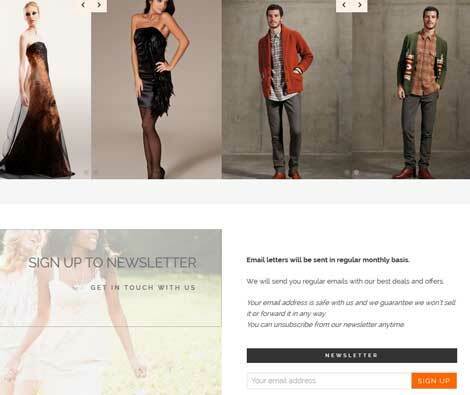 Have you found better WordPress themes for fashion sites? Please share them here.